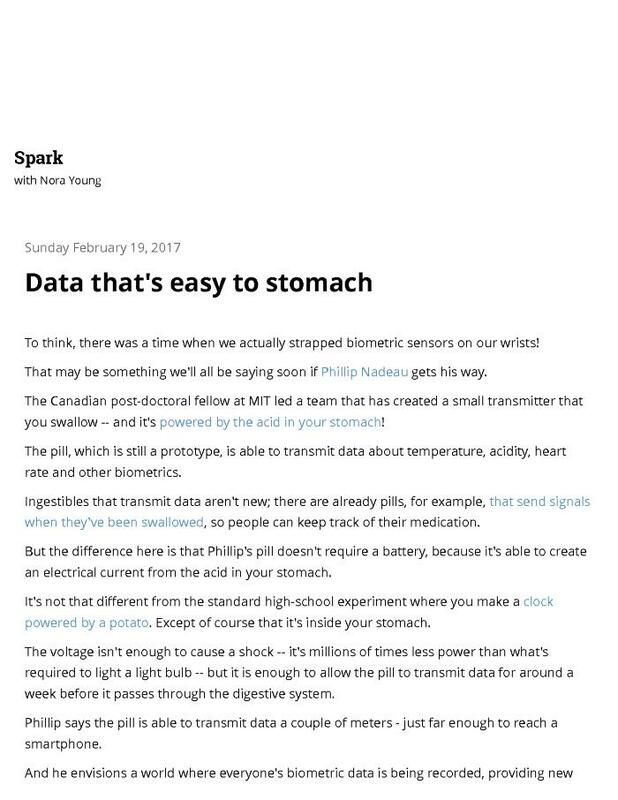 A Canadian post-doctoral fellow at MIT led a team that has created a small transmitter that you swallow - it is powered by the acid in the ingester's stomach. The pill, which is still a prototype, is able to transmit data about temperature, acidity, heart rate and other biometrics. Creator Phillip Nadeau says the pill is able to transmit data a couple of meters - just far enough to reach a smartphone.